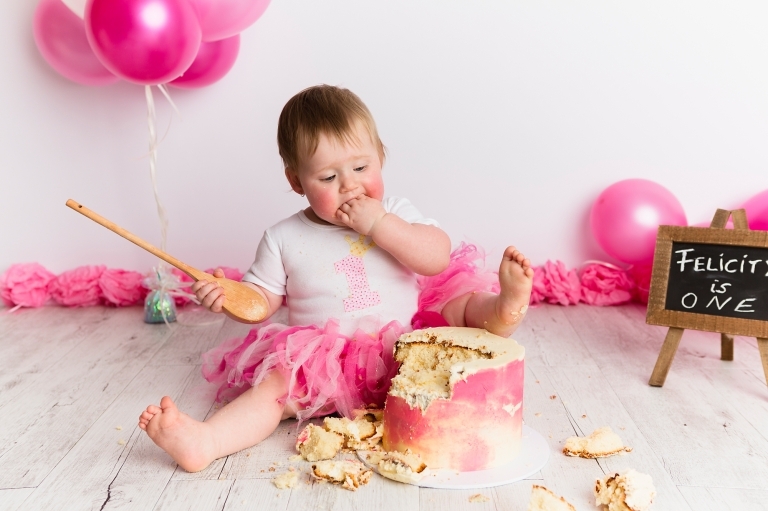 A special Cake Smash is such a fun way to capture your one-year-old’s milestone. 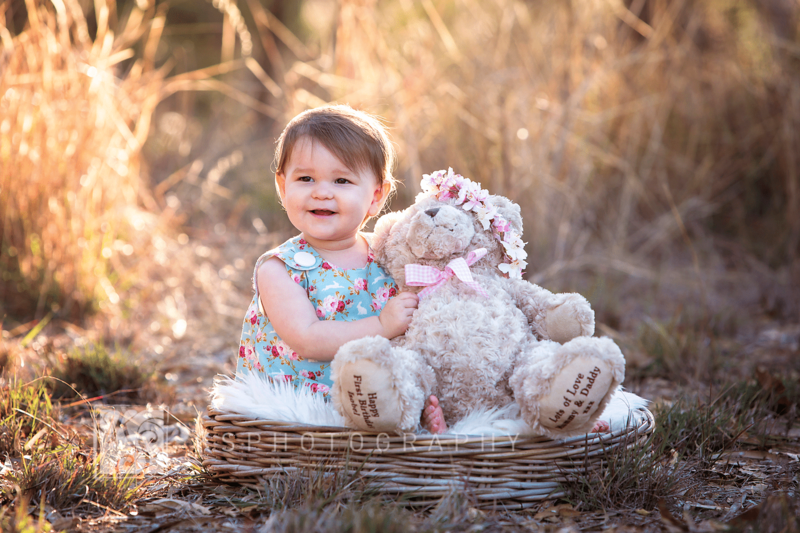 The photo session will take place in my studio in Iluka, Joondalup. I will supply the balloons, decoration, a special Year 1 outfit to choose from, my professional photographic services and yes – the cleaning up!! Please note that for health & safety regulations, I don’t bake the cake myself. However, to make it easier for you, I can provide you with a personalised cake sourced from a “Specialist Baker” who is fully licensed and is baking the most amazing & best birthday cakes in her business. 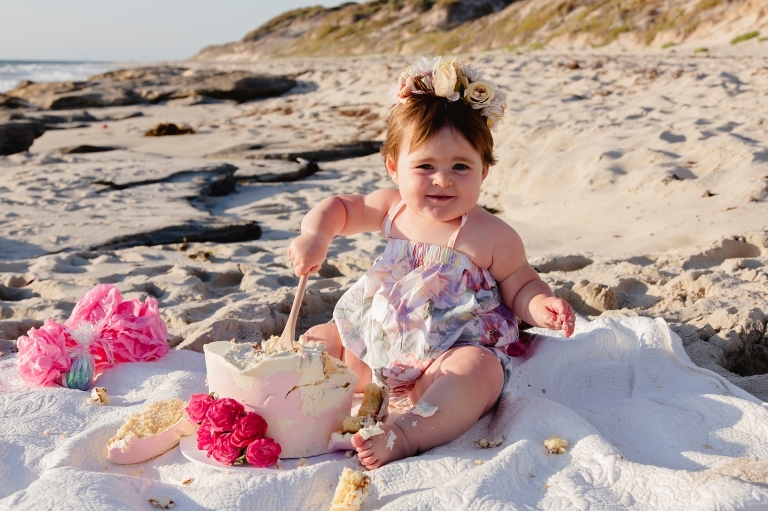 All cakes are covered in buttercream, which makes them nice and soft for babies to smash. The Birthday Cakes decorated to your colour specifications and I believe have a lovely artistic and modern look to it. 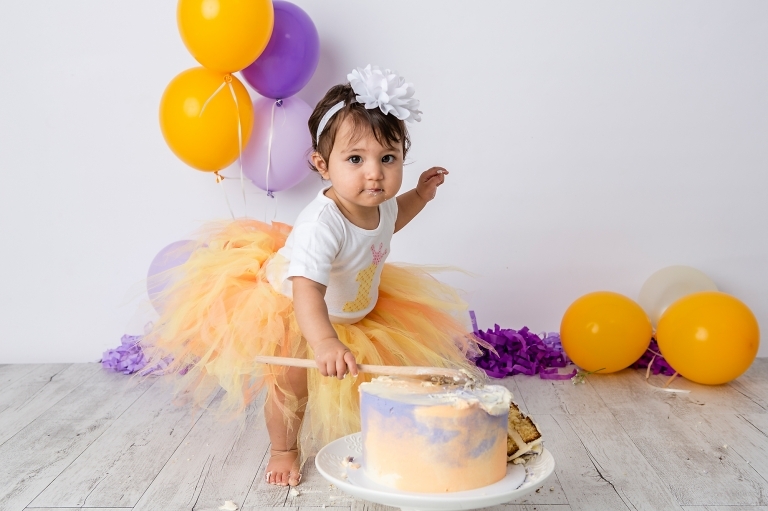 I have to notify her at least 1 week prior to the day of the cake smash, therefore cake smashing bookings have to be made at least 1 weeks in advance. Alternatively, you can, of course, supply your own cake for the smash. 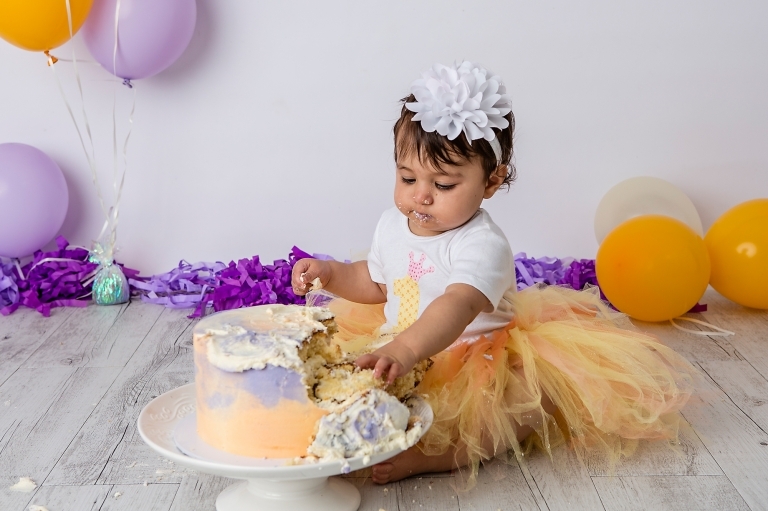 Just like my philosophy on Family Photography, a Cake Smash Session is affordable given that you get a full professional photo shoot of your child. 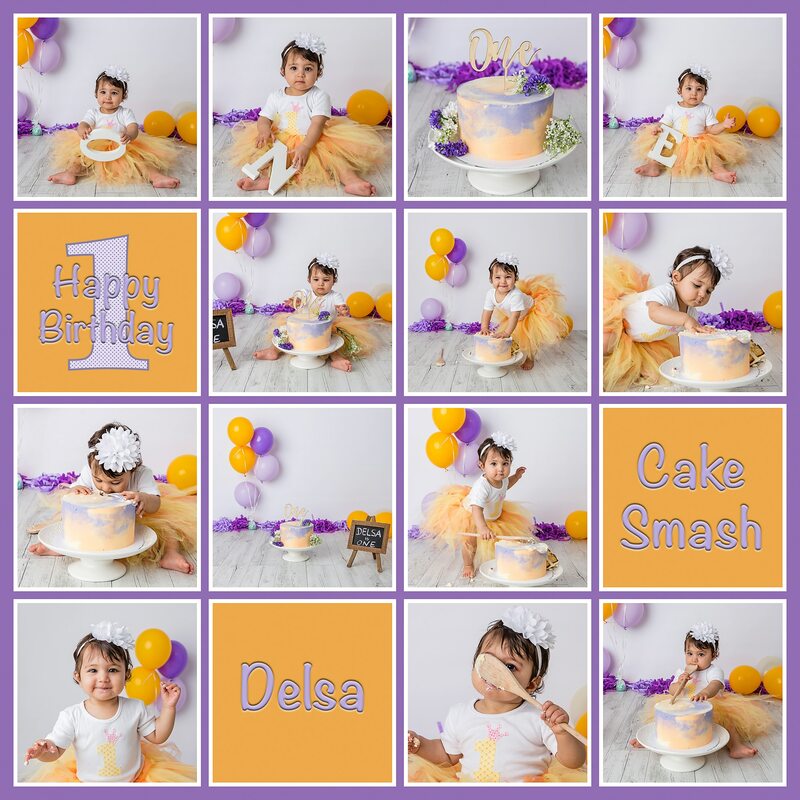 The images on USB will also include a personalised 4×4 square collage of your child’s session – as this will be supplied in digital format to you, you will easily be able to have a canvas printed from it to remember this special day. You can specify which colour scheme I decorate my studio on the booking form. You can dress your child in his or her own clothes, or you may borrow an outfit from our selection. I had 4 girl and 4 boy onesies made especially for cake smash birthday sessions. You can add matching pants or tutus. All sizes are suitable for a 12 months baby. We would start off with some portraits of the birthday boy / girl, then have the cake smash and at the end, I have a gorgeous tin washing tub for a bath. Towels will be supplied. The set up can be expected like the photo below. Balloons, tussles, cake stand and the letters O N E will all be supplied. Colours will vary according to your wishes. As I mentioned above, the Session Booking Form will also give you a choice of a decoration colour scheme. Please pick your favourite colour and you will then be able to coordinate the cake decoration as well as your child’s clothes. Further choices regarding the cake will also be on the form. If you wish to discuss anything at all prior to booking, just let me know through the contact tab.